Hang the stockings and prepare the duck calls as Duck Dynasty®: Duck The Halls arrives on DVD November 11 from Lionsgate Home Entertainment. This DVD collects two-holiday themed episodes from the beloved series, including one that has never been released on DVD! 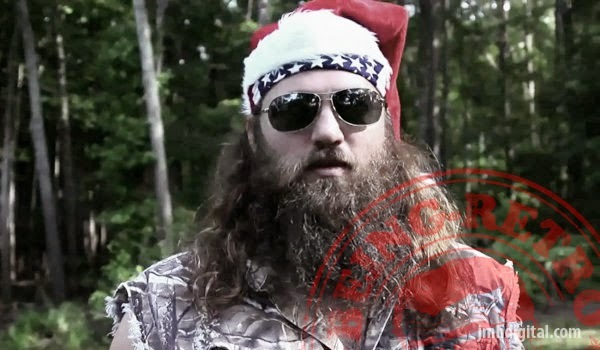 Watch as Phil, Willie, Si, Jase and the whole Robertson family get into the Christmas spirit - and into costume - by performing a live nativity for their church. 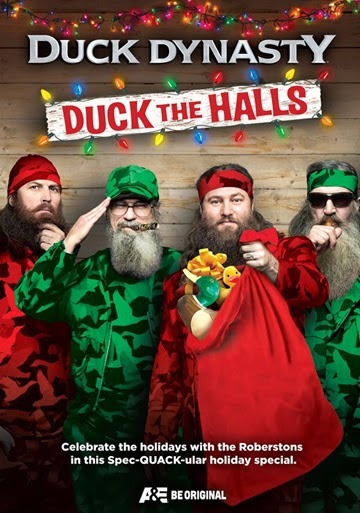 The Duck Dynasty: Duck The Halls DVD. Celebrate with the Robertsons this Christmas with Duck Dynasty®: Duck the Halls. In “O Little Town of West Monroe,” the family performs a live nativity scene for their church. The wives are in charge and organize rehearsals to ensure that they pull off a great event. But things get off to a bumpy start, because the guys can’t stop sharing their opinions. Willie plays Joseph; Jep the innkeeper; Martin plays Caesar; and Si, Jase and Godwin play the three wise men - while Si insists on being the wise man with the “franken-scent.” Join in all the joys of the season as Phil narrates the story of Jesus’ birth and the kids play adorable nativity animals. And all along, Willie and Jase struggle to get their wives the “perfect” Christmas gifts.